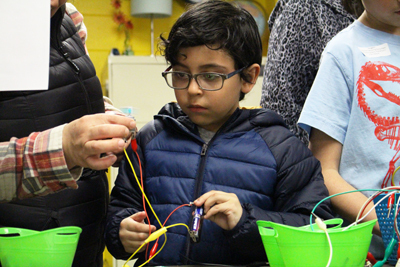 From building circuits to making mini-catapults, the activities at Stevenson Elementary School’s Science and Engineering Night fueled an interest in science and technology - igniting the creative minds of over 400 students and their families. 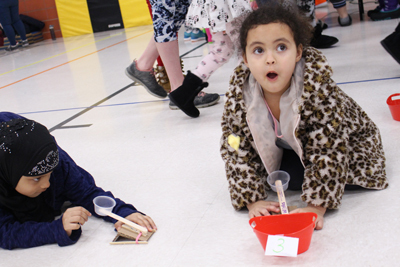 The event, held on March 14, 2019, offered a multitude of activities that filled the classrooms, gymnasium, and media center at Stevenson. 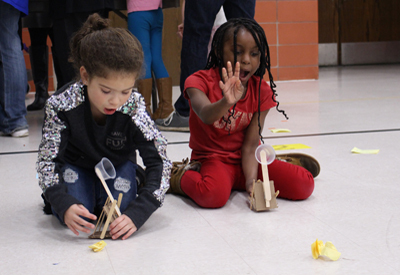 The activities were provided through a partnership with the Works Museum, an interactive technology and science museum located in Bloomington, Minn.
Students constructed shapes and models with Wedgits, which are building blocks that add geometry and symmetry to the construction process. 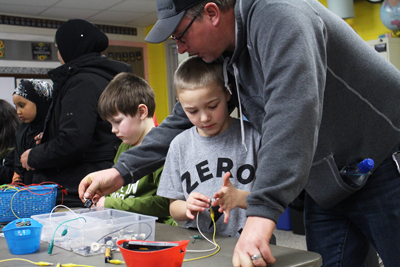 Their excitement was palpable as they completed wire circuits with batteries which powered fan motors and mini-light bulbs. 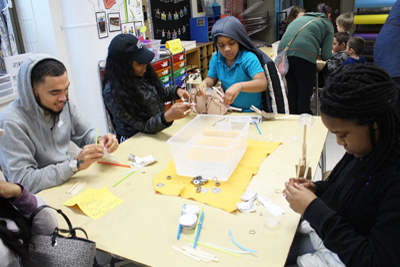 The students also tackled the “Super Stick Structure Challenge,” working together to build free-standing structures with sticks and rubber bands. Across the entire school, students and parents could be found using their critical thinking skills to build, design, create and experiment. As an IB World School, all students at Stevenson Elementary learn from the inquiry-based PYP framework. 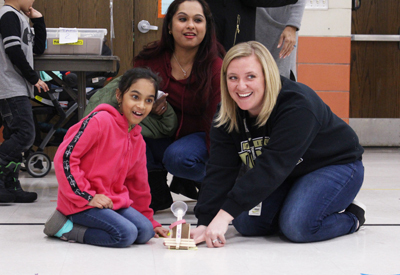 Through engaging activities and lessons at Science and Engineering Night, students were encouraged to be curious and experiment as lifelong learners. 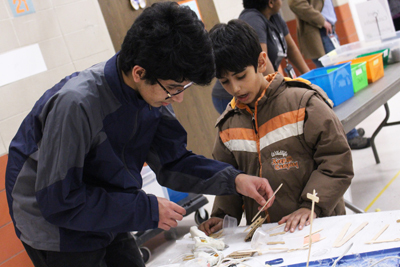 Families were also able to take home projects and ideas that students can work on at home. Mathison said the school is incredibly grateful to the teachers, parents, and staff members who volunteered to make the event possible. She added that feedback from families was overwhelmingly positive. 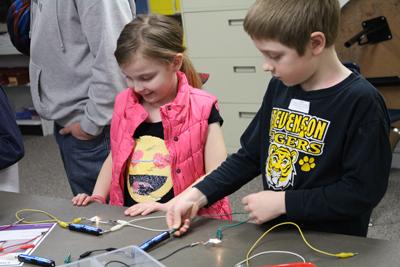 “We were so thrilled with the number of students and families who came out to participate. Thank you to everyone who attended!” said Mathison.